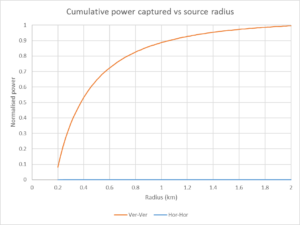 Though ground wave attenuation is lower on 80m than 40m, the horizontal antenna used in the example is at a fixed height, so it is electrically lower on 80m which increases horizontal attenuation significantly. 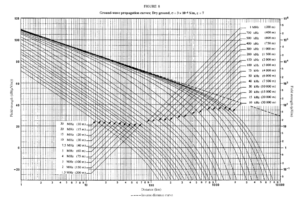 Again, let us assume that the total man made noise captured by a receiving antenna is due to a large number of small sources distributed evenly around the receiving antenna. 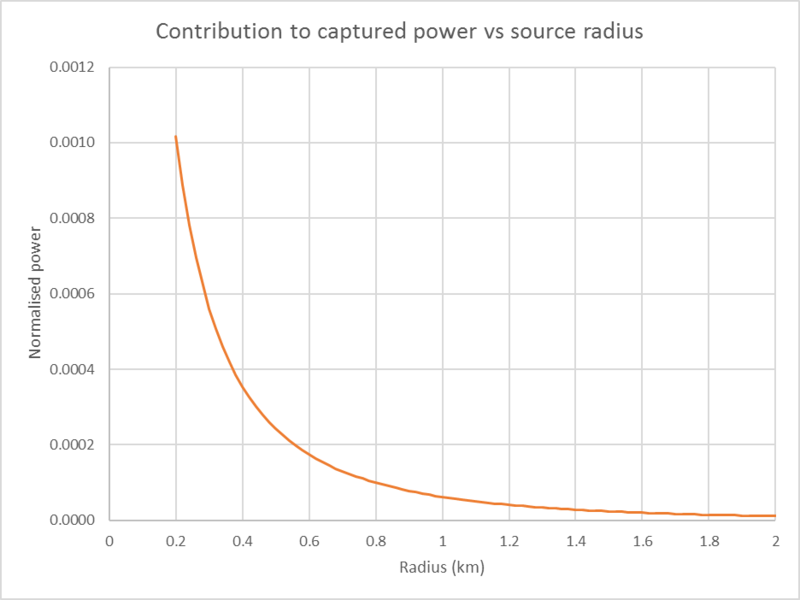 sources within 200m radius are excluded (near field effects excluded). 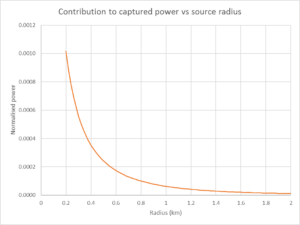 Note that 90% of the captured power for the V-V case is from sources at less than 1100m distance. 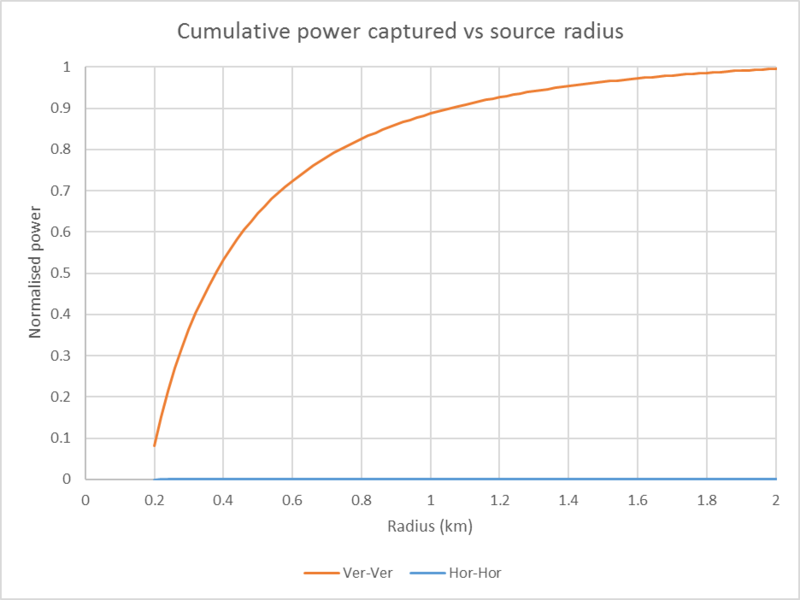 The power captured for the H-H case is much lower (~31dB) and 90% is from within a 600m radius. 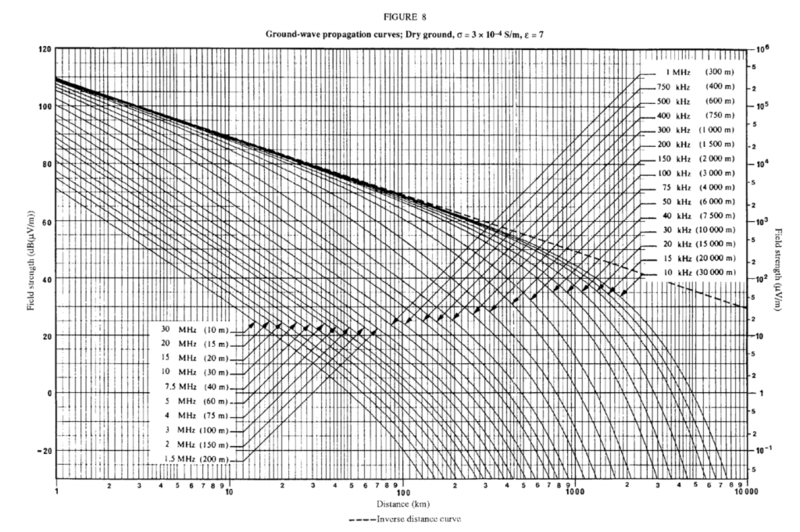 Ground wave attenuation means that most man made noise arriving by ground wave is very local, less than 1100m in this scenario, and higher ground wave attenuation of horizontal waves results in much lower noise capture at a horizontal receiving antenna.